I am a BHS Professional Accredited Coach level 3 in complete horsemanship, having qualified in 2004; I have been coaching clients ever since, working mainly on flatwork and polework training. I have been lucky enough to work with some fantastic clients on my journey with a few progressing onto the Byrds squad and more recently one of my clients being selected for the Byrds progess squad. I have always been passionate about helping my clients find that perfect horse/ rider harmony but found I needed to help my riders more rather than just correcting how they look on their horse which is where my journey with Equipilates™ began. Since starting my training and qualifying with Equipilates™ I have been able to work with my clients off horse to help any asymmetries and areas where they are locked, making a huge difference on their horse. 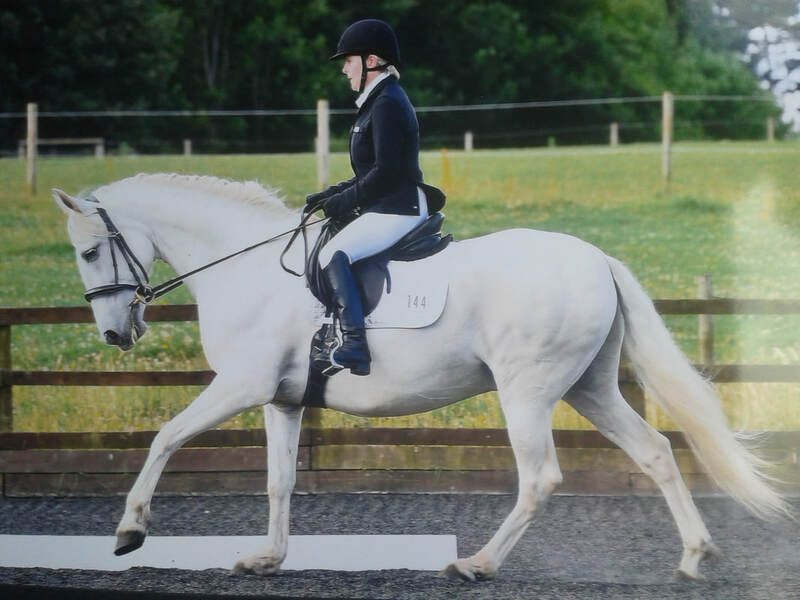 I myself am a British Dressage rider group 5, have competed at area and regional championships with my previous horses and am now competing my homebred warmblood and my Andalusian, concentrating mainly on dressage. I also do a little showjumping and have evented in the past with my previous horse. I offer freelance lessons, Equipilates Biomechanics sessions, One to one Pilates sessions and group Pilates classes.